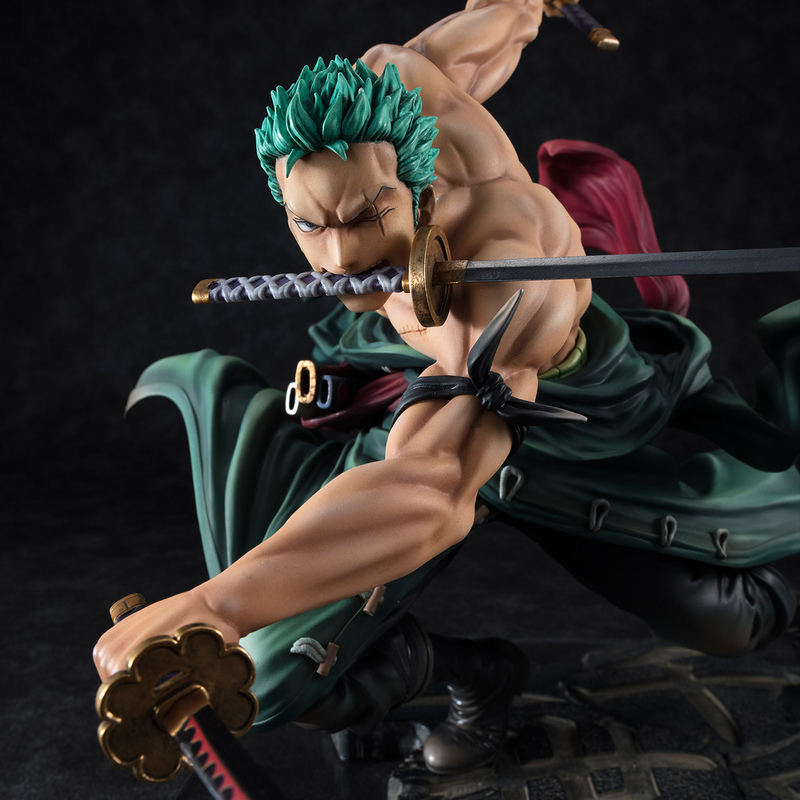 Your collection will never be stronger with a master swordsman such as Roronoa Zoro from the popular anime series "One Piece"! 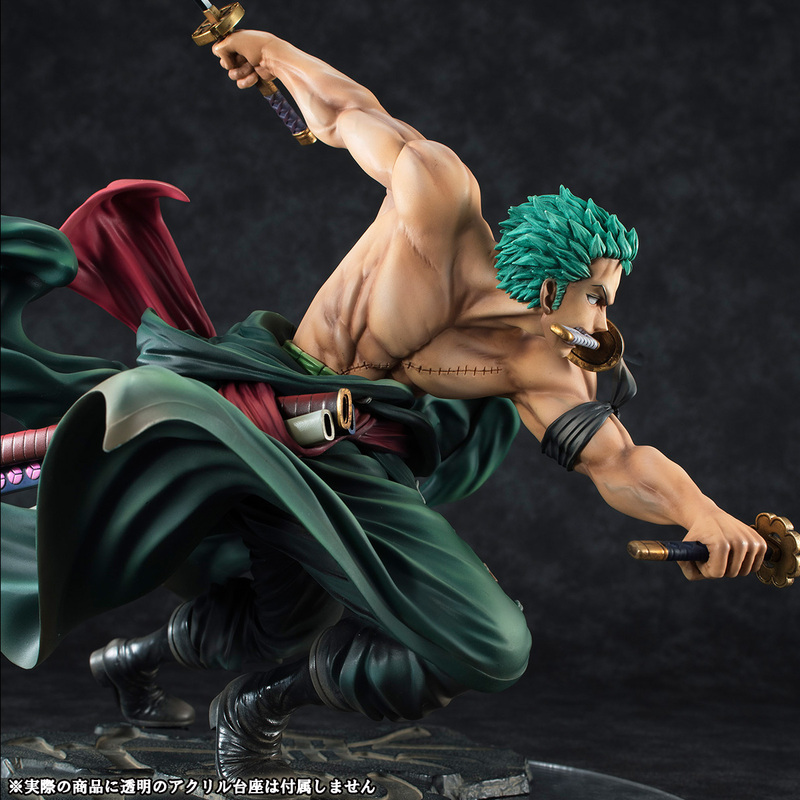 Now available as a 1/8 scale figure from Megahouse. 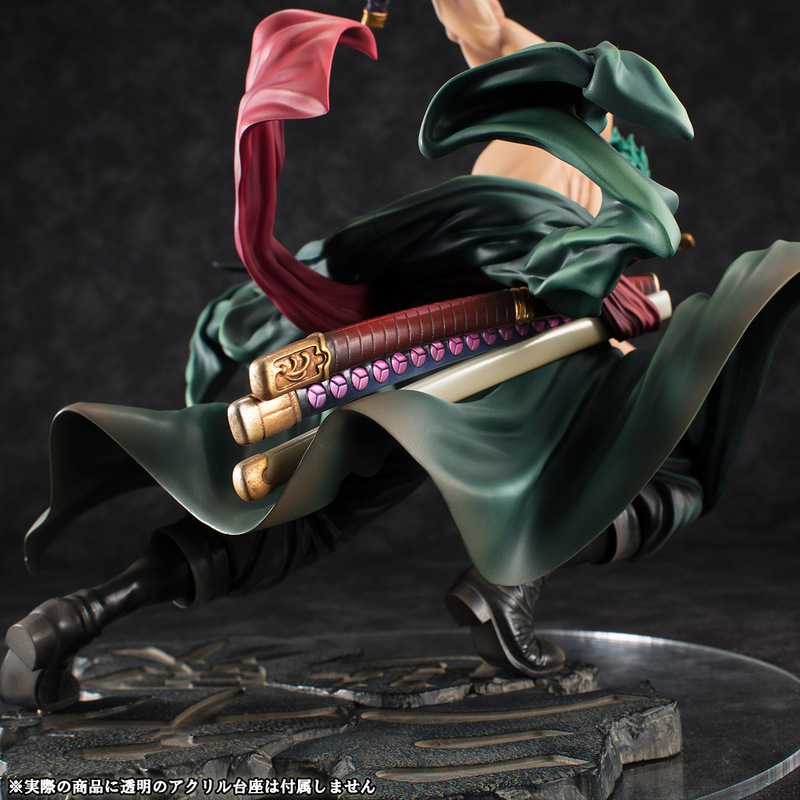 Posed as he performs his strongest move yet, "Sanzen-Sekai!! 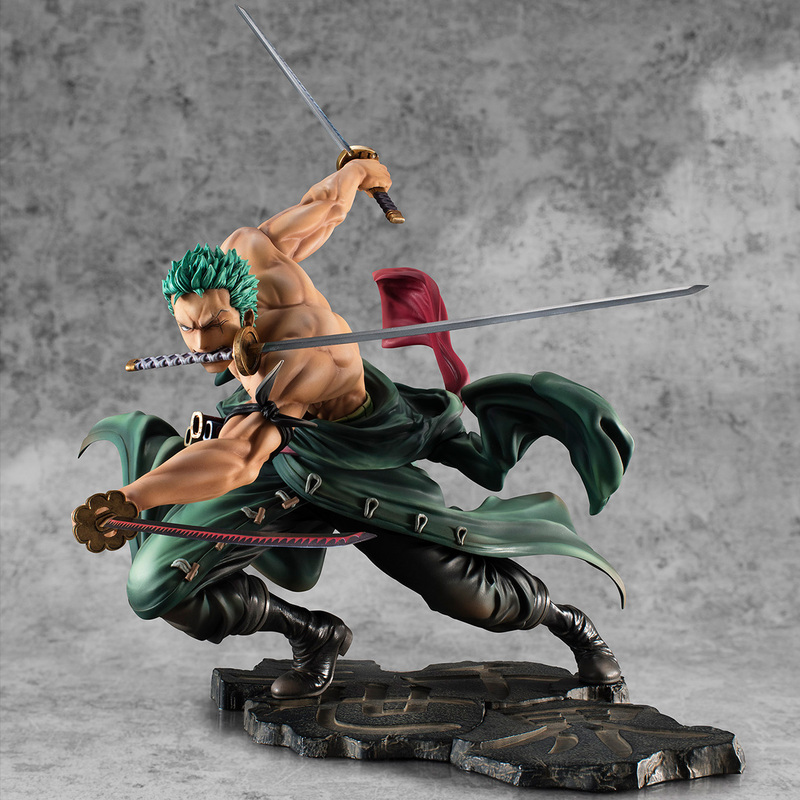 ", also known as "Three-Thousand Worlds" will guarantee to slice and dice any opponents upon your shelf. 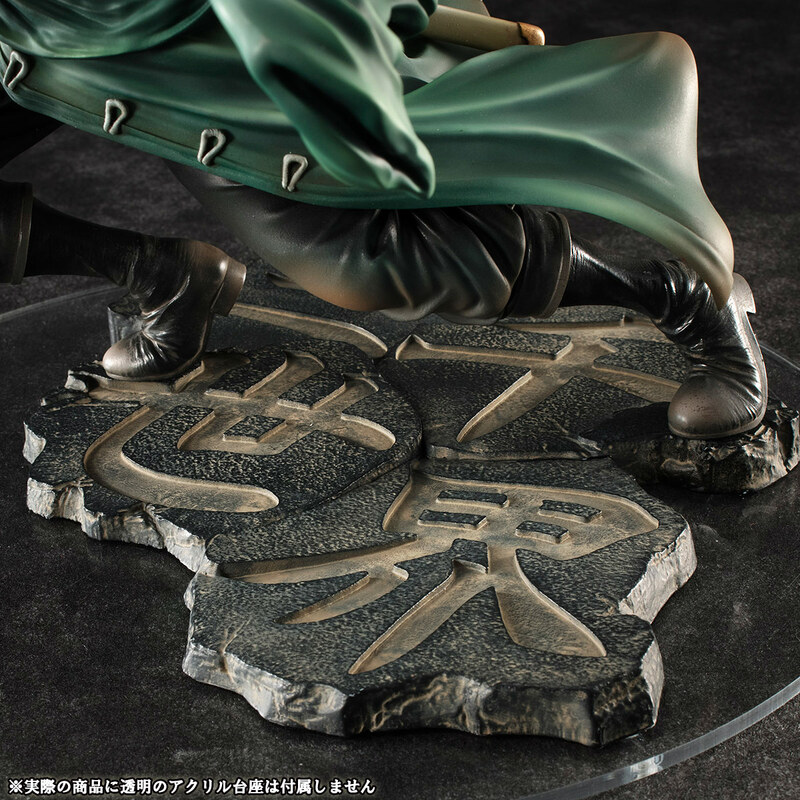 The Japanese Writing that depicts the name of his attack make the base a unique addition to this figure. 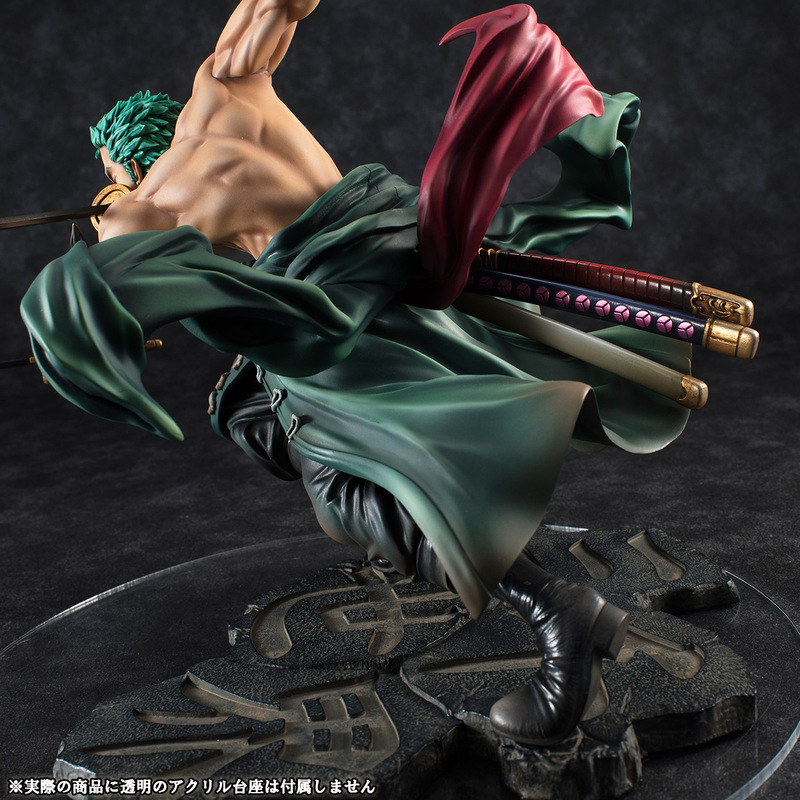 His strong muscular frame is faithfully recreated down to the clothes upon his waste and the triple katana swords he effortlessly wields in his hands and mouth. 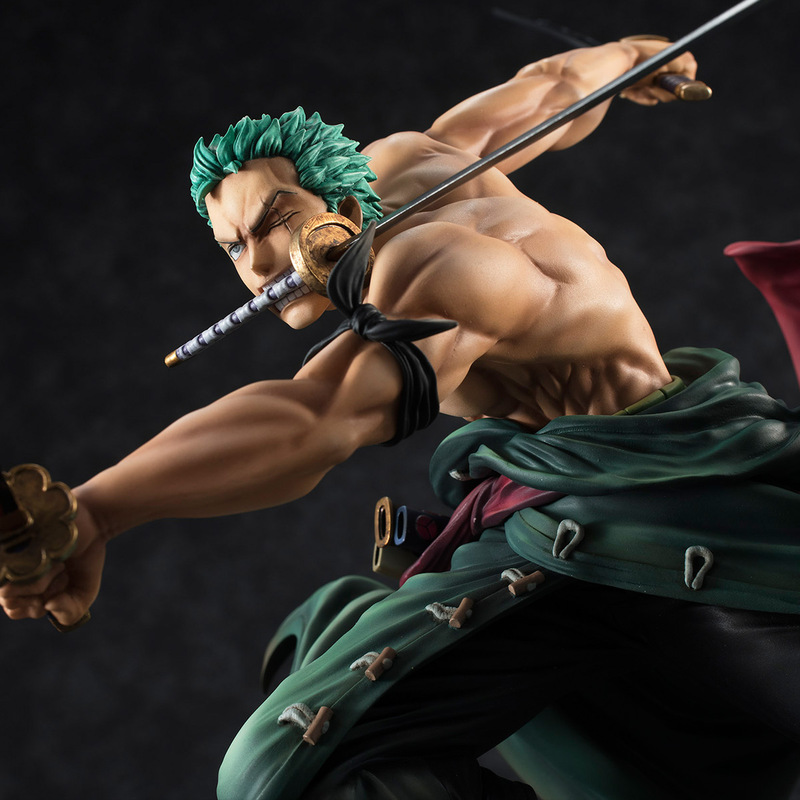 Make this figure a perfect addition to any One Piece fans collection.